A love for books, a dedication to knowledge, a commitment to Milton. The mission of the Milton Public Library is to promote the love of reading, to make accessible the diversity of human culture and learning, to be a resource for the community’s research and information needs and to do all of this in a way that returns value for the community’s investment. 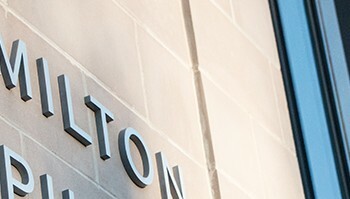 The Milton Public Library enriches the community by connecting people to the world of ideas, information, and imagination to support their work, education, personal growth and enjoyment. The library was opened in February of 1871 after space had been rented, at $150 per year, in the Edmund J. Baker Building on Wharf Street. 1882 – The library moved to the Associates Building. In 1883, a reading room was established in East Milton above Babcock’s Store. 1890 was the first year in which a card catalog was implemented. The first professional librarian, Miss Gertrude E. Forrest, was hired in 1900. 1904 – 26 Citizens of the town collectively purchased the parcel of land at the corner of Canton Avenue and Reedsdale Road and gave it to the town for construction of a new library. The Town Meeting allocated $50,000 for construction in 1902, and the cornerstone was laid that year. The building opened on June 11, 1904. The total cost was $75,034.22, including a $21,000 gift from Nathaniel T. Kidder, and a further $4,000 town appropriation for furnishings. Branches were built on Blue Hill Parkway in 1929 and in East Milton in 1931. 1958 – A 4,000 square foot addition was erected at the rear of the stack wing, bringing the total library size to 26,000 square feet. The addition was designed to accommodate three levels, but only two were built, with the expectation that the third would be added shortly. 1988 – Major handicapped access improvements included an elevator added to the rear of the main library addition and access ramps at all three locations. The main building roof was replaced with an elasometric roof membrane system. 1998 – The Children’s room was refurbished, with new lighting, stacks, carpet, desk, and office areas. 2009 – The 1958 addition and part of the original stack wing were removed, and a new addition was erected, bringing total space to 40,000 square feet. The Milton Public Library has developed a strategic plan for Library services in Milton through Fiscal Year 2021. The Library undertook a thorough planning process to try to get as much input from residents as possible. The Strategic Plan was approved by the Library Trustees in October 2015 and by the Massachusetts Board of Library Commissioners in November 2015. To read the plan and look at the Library’s service priorities you can click here.